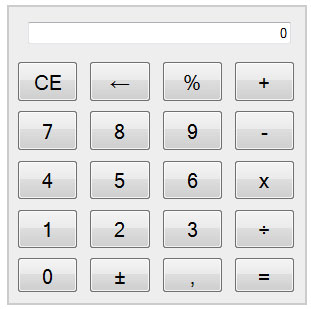 This calculator is simple, she has a fonction that initialize the calculator when the page is loaded or when the user click on the CE button. She also have a function to add numbers when the user clicks on the buttons and an other to make the mathematic operations. Finaly, there is another function to detect keys when the user uses the keyboard.